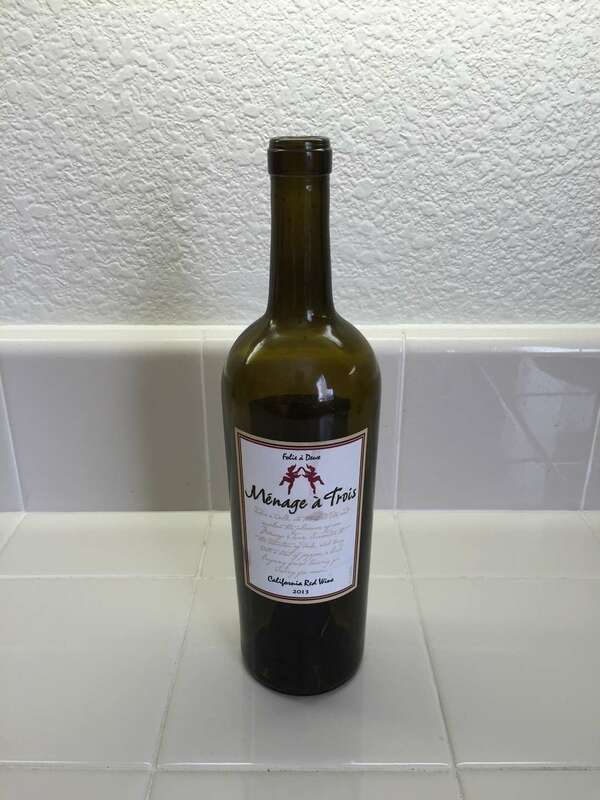 If you're wanting to recycle used wine bottles, removing the label can be a pain. 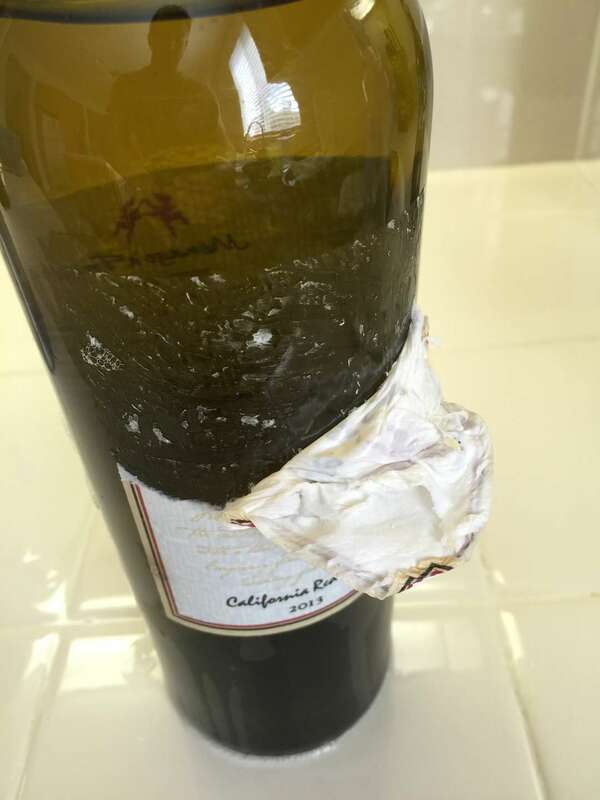 Fortunately, there are a few tips using household items to help you remove the label and clean off the adhesive. 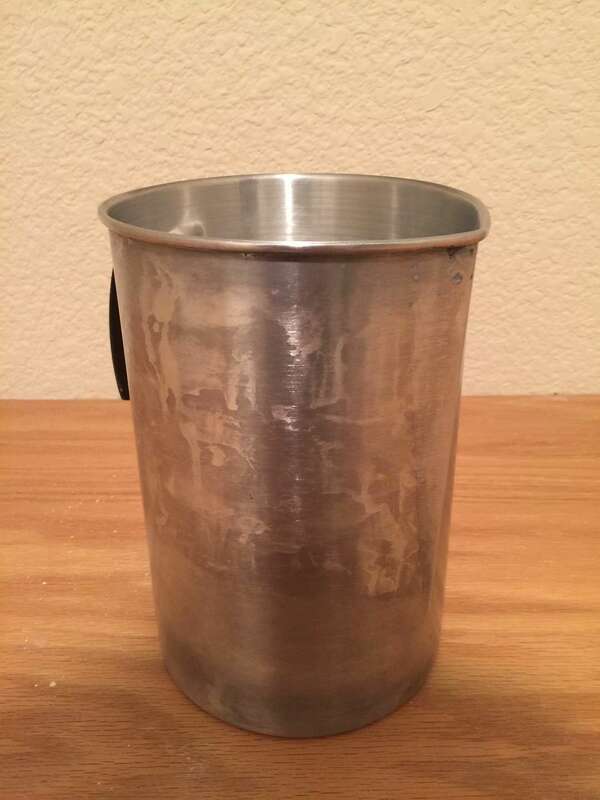 I've chosen a pitcher that is tall enough to cover the entire label when filled with water. 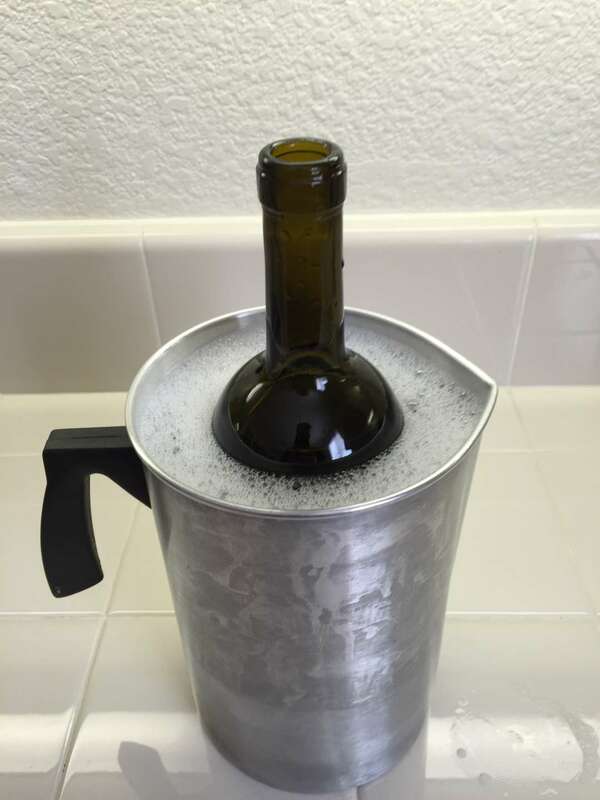 You won't need to fill the entire container because the wine bottle will displace some of the water. 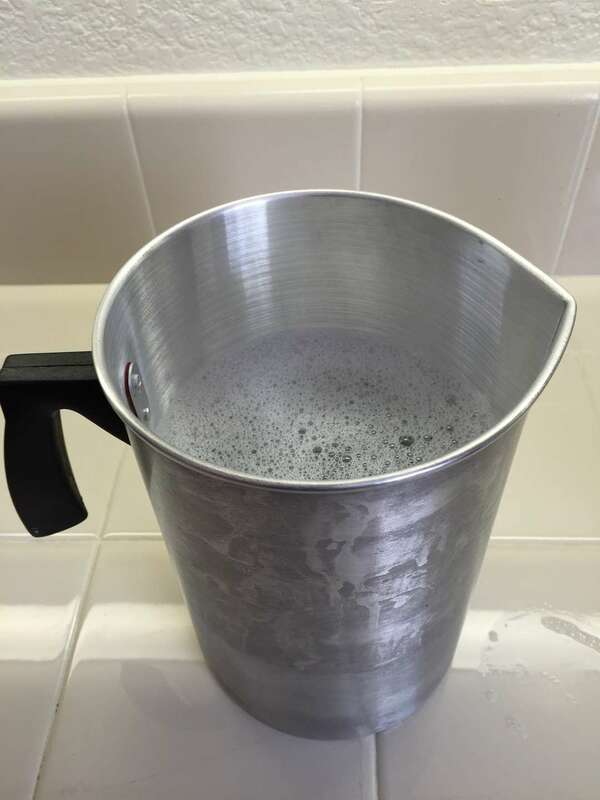 The amount of water you should use depends on the size of the container. Filling the bottle with water will help keep it submerged - because of science. You want to make sure the label is completely covered with the soapy water. Let the label soak for 5 to 10 minutes. The label should come off a lot easier than before. You can scrape with your finger nails as necessary. 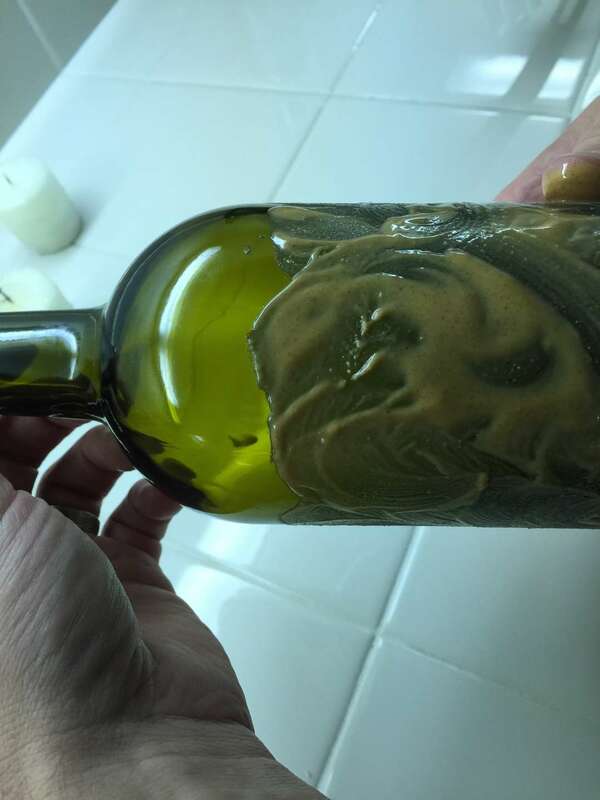 If adhesive remains on the bottle, you can cover the bottle with peanut butter and scrub it with your fingers. Focus on the areas with a lot of adhesive. After scrubbing, clean the peanut butter off of the bottle with warm soapy water.